Pixel Mosaic (and previous incarnations of) have been involved in the Focus meetings for LPL Financial advisors since 2010. Throughout those years, we have been involved in many different capacities, ranging from solely onsite media server provision to full turnkey production and content creation packages. 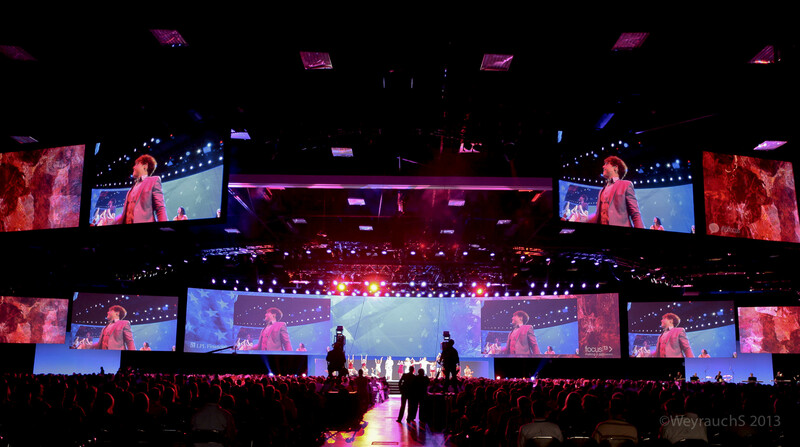 There have been many unique designs of LED and projection for LPL Financial’s Focus events over the years. From mixed LED/projection, to curved projection, to projecting onto a bunch of scenic flats – we have been asked to really flex our pixel mapping muscle over the development course of this program. Pixel Mosaic looks forward to a continued partnership with all our affiliates of this program for many years to come!